The official bracket is up. Random draw was done to chose which teams would receive byes. The first map has been drawn as Warehouse, Axis start on defense. Bracket updated to reflect round 2. Bracket half updated to reflect half of round 3. The final bracket is up! 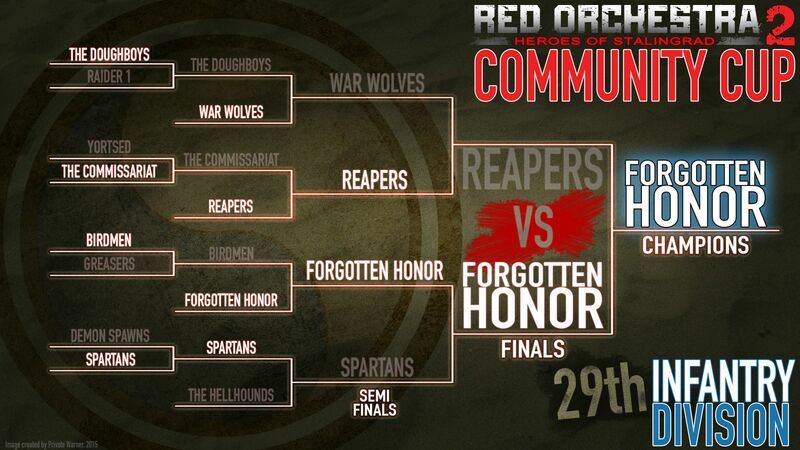 Reapers vs Forgotten Honor in the finals!